Here are excerpts taken from New Zealand’s most popular talk back radio show, NewsTalkZB, following the mosque attacks in Christchurch of March the 15th. Calls from alleged eyewitnesses and the Prime Minister’s first speech about the atrocities can be heard from this audio, which was obtained from the Week on Demand page on NewsTalkZB’s website. This is in four parts, and not all inclusive. From Josh Del Sol, TakeBackYourPower, 14 July 2016 Untested 28GHz radiation blasting from millions of new hidden antennas and tuned-up “smart” meters. A corporate free-for-all, with oversight eliminated. Total, for-profit surveillance. An “internet of everything” with “hundreds of billions of microchippable products”. Everywhere and everything… and eventually, everyone. This is not sci-fi. This is FCC Commissioner Tom Wheeler’s insane new plan, slickly badged as “5G”. The government’s own NTP cancer study inconveniently concluded that yes — cellular radiation DOES increase cancer. Now, the industy-lobbyist-turned-government-czar gave an uber-creepy speech invoking technocracy’s endgame with a stomach-churning sense of urgency. On May 17, 2016, No Forced Vaccines spokeswoman Katherine Smith was invited to be a guest on Radio New Zealand’s Morning Report to discuss the recent measles cases in the Waikato area. In response to these cases Morrinsville College was closed on Monday May 16 and the students and staff (those born after 1969) have reportedly been asked to provide evidence of having had two MMR vaccinations or stay away from school/work for two weeks. The Medical Officer for Health for the Waikato has also reportedly asked schools in the region to begin checking students’ vaccination records. While the German government rejected “smart” meters because they were not in the interests of consumers and a major US power company, North East Utilities admitted there is “no evidence” to show they are “a good choice for customers,” the public in New Zealand frequently only hears about their supposed benefits. For example, some New Zealand power companies claim “smart” meters lead to highly accurate meter reads. I live in Whangarei, Northland, where some power bills have doubled, tripled and much more following the installation of one of these supposedly “accurate” meters. Fortunately for the power companies, what they also call “advanced” meters, have an ability to measure a contamination on the lines called “reactive” power, which is power you can’t use, but power you can be legally charged for. This documentary explores a gamut of issues to provide a profoundly strong case for putting an end to the insidious and pathological use of chemtrails and weather modification technology. It shows how chemtrails are used to control our weather, what specific technology is used in conjunction with the aerosols and how weather control is used to corporatize the natural systems on the planet. What is revealed about how the soil is being poisoned rapidly by the aluminium from aerosols has horrifying implications for humanity. It leaves one wondering what will happen when the open-ended system of food production is closed and controlled by corporations who own patents for expensive aluminium-resistant crops. Like the films The World According to Monsanto and The Future of Food, this documentary shows Monsanto is seriously undermining effective cultivation practices that have been established over thousands of years. Finally, on a positive note, Why In The World Are They Spraying? is an activist’s film, designed not only to educate, but also to empower and inspire its audience to take action to stop these insane terraforming programs. Director, Michael Murphy, whose indomitable spirit provided the impetus for making this film, encourages those who purchase a DVD, to burn copies of it and hand them out for free. DVDs and information regarding the film can be found at Whyintheworldaretheyspraying.info. It can also be watched on YouTube, where it clocked up close to 50,000 views within 24 hours of being uploaded, such is the interest in this formerly hidden issue. Conspiracy Theorists Deserve An Apology. Have Predictive Programming & Hidden Symbolism Been Used in Media To Reveal Plan To Let Off Bomb At London Olympics? The series includes several clues that suggest that the ‘illuminati’ are behind the making of the series and that therefore the events that the series imagines, are being planned to take place in the real world. There are also clues that suggest the ‘illuminati’ are plotting an attack on the London Underground. BOTH THESE PLOTS CAN BE STOPPED IF ENOUGH PEOPLE BECOME AWARE OF THIS INFORMATION AND THE ‘ILLUMINATI’ ARE FORCED TO CANCEL THEIR PLANS. 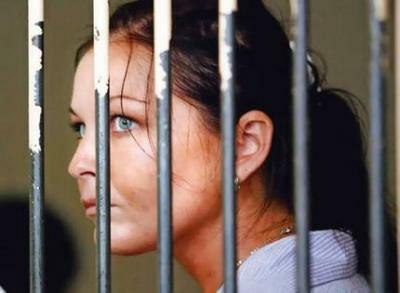 “Expendable”: The Harrowing Case of Innocent Schapelle Corby. Schapelle Corby sits in a Bali jail so corrupt officials can save face. A unique and extraordinary film has been released this week, free of charge, on the internet, via simultaneous upload to networks in territories as diverse as Russia, India, the United States, Japan, China, Vietnam, France, South Africa, and Germany. It is a film, however, which will certainly have long term implications for the state of Australia. ‘Expendable’, produced under conditions of strict secrecy in the US, demonstrates a lengthy series of corrupt and criminal acts by Australian politicians, sanctioned collectively by an Australian government. These involve not only activities at ministerial level, but central roles for Australian Federal Police (AFP) officers, and a number of prominent corporations. Demonstrate is the operative word, because these are not allegations. Every abuse of power covered in the film is supported by documented proof, usually in the form of cables and correspondence between government ministers. These were pre-published on the Expendable website for public scrutiny. Further, collectively, the movie and supporting dossiers are currently being collated for submission to the United Nations, and the International Criminal Court in The Hague. The ‘Expendable’ film documents the case of Schapelle Corby, a young Australian woman, who was sentenced to 20 years in an Indonesian prison in 2005, when 4.2kg of marijuana was found in her bag as she collected it on arrival in Bali. The movie tracks the Australian government’s response, which included the willful withholding of vital primary evidence. This included the information that 5kg had been added to the weight of her bags after check-in, and that the offending bag was the only one not screened at Sydney airport, which she passed through on route. The need to hide the systemic scale of post 9-11 corruption at Australian airports, including within the AFP, and the strategic policy of the appeasement of Indonesia, frame these, and a whole series of other acts of hostility against her. More. I have made copies of this film and handed it out to people. This week I will send it to the Australian High Commission in New Zealand at 72-76 Hobson Street, Thorndon, Wellington, NZ and ask why this woman is still in prison when the evidence overwhelmingly shows she is innocent. Uploaded by MRNEWSguerillamedia on 2nd of October, 2011. 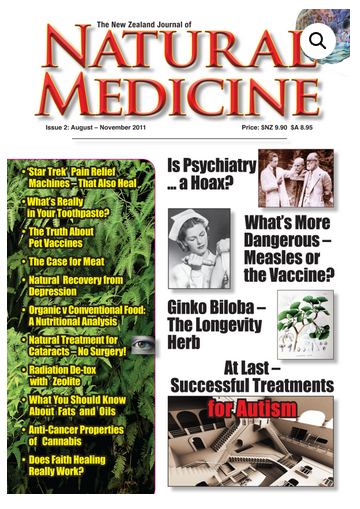 If you thought that fluoride was safe and effective, then you’ve no doubt been following the mainline medicine propaganda and the government line. Unfortunately, the truth is that they lied, committed fraud and covered up evidence in order to facilitate water fluoridation. The following is an in depth presentation by Dr. Paul Connett, the world’s leading authority on fluoride toxicity at the UNCENSORED conference in the Grey Lynn community hall in Auckland, New Zealand on Saturday the 2nd of April, 2011. On Monday, the 30th of November, 2009, Richard Gage, AIA, of Architects & Engineers for 9/11 Truth, gave his final presentation in New Zealand on the Hard Evidence Down Under Tour, to an audience of 143 in Auckland, at the Trades Hall in Grey Lynn. Thank-you to Will Ryan for organizing the event and for his introduction. Those who originally believed the official story of 9/11, will more often than not, come to the realization that the official story was merely a fable after listening to this excellent speaker/ presenter.